Woon jij in Rotterdam of omgeving? Hou je van lezen en vind je het niet erg om in het Engels te lezen? 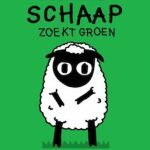 Lijkt het je leuk om met anderen te praten over een Young Adult boek? 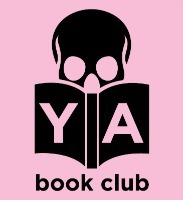 Kom dan eens naar de Bored to death YA book club. 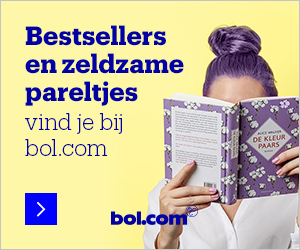 Deze leesclub bestaat sinds oktober en komt elke maand bijeen in boekhandel Donner. Er wordt zowel Engels als Nederlands gesproken. Iedereen is welkom. Je bent nooit te jong of te oud. 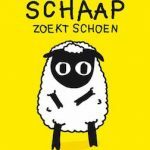 Als je het maar leuk vindt om boeken te lezen die geschreven zijn voor jongeren van 15 jaar en ouder. Theodore Finch is fascinated by death, and he constantly thinks of ways he might kill himself. But each time, something good, no matter how small, stops him. Violet Markey lives for the future, counting the days until graduation, when she can escape her Indiana town and her aching grief in the wake of her sister’s recent death. When Finch and Violet meet on the ledge of the bell tower at school, it’s unclear who saves whom. And when they pair up on a project to discover the ‘natural wonders’ of their state, both Finch and Violet make more important discoveries: It’s only with Violet that Finch can be himself – a weird, funny, live-out-loud guy who’s not such a freak after all. And it’s only with Finch that Violet can forget to count away the days and start living them. But as Violet’s world grows, Finch’s begins to shrink. Wat hebben we de afgelopen maanden gelezen? Jude and her twin brother, Noah, are incredibly close. At thirteen, isolated Noah draws constantly and is falling in love with the charismatic boy next door, while daredevil Jude cliff-dives and wears red-red lipstick and does the talking for both of them. But three years later, Jude and Noah are barely speaking. Something has happened to wreck the twins in different and dramatic ways… until Jude meets a cocky, broken, beautiful boy, as well as someone else – an even more unpredictable new force in her life. The early years are Noah’s story to tell. The later years are Jude’s. What the twins don’t realize is that they each have only half the story, and if they could just find their way back to one another, they’d have a chance to remake their world. Sherman Alexie tells the story of Junior, a budding cartoonist growing up on the Spokane Indian Reservation. Determined to take his future into his own hands, Junior leaves his troubled school on the rez to attend an all-white farm town high school where the only other Indian is the school mascot. Cameron Post feels a mix of guilt and relief when her parents die in a car accident. Their deaths mean they will never learn the truth she eventually comes to–that she’s gay. Orphaned, Cameron comes to live with her old-fashioned grandmother and ultraconservative aunt Ruth. There she falls in love with her best friend, a beautiful cowgirl. When she’s eventually outed, her aunt sends her to God’s Promise, a religious conversion camp that is supposed to cure her homosexuality. At the camp, Cameron comes face to face with the cost of denying her true identity.